Fitzgerald Glider Kits is proud to announce their partnership with Laughlin Motorsports for the 2018 NHRA Mello Yello Drag Racing Series season. 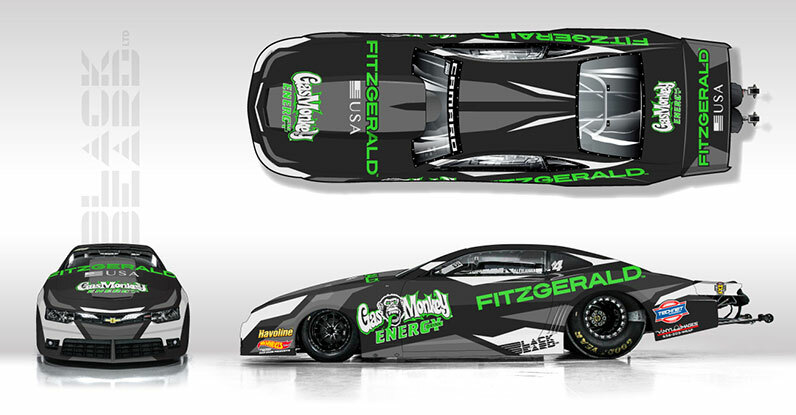 Fitzgerald will take over as primary sponsor on Alex Laughlin’s pro stock Camaro at Thunder Valley Nationals this year in Bristol, TN, just a few hours from their Tennessee headquarters. 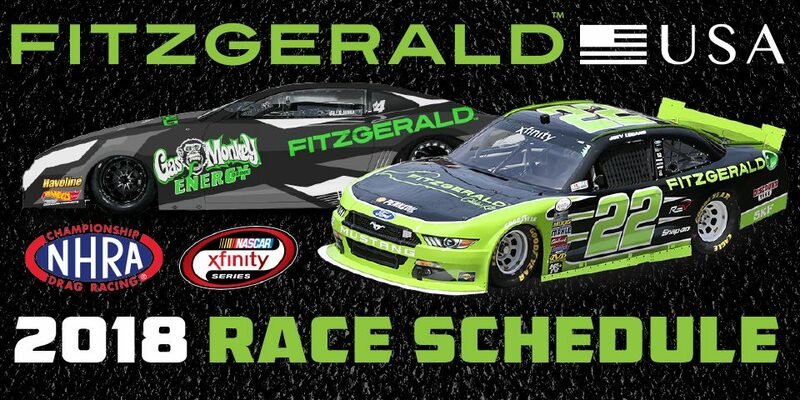 Additionally, Fitzgerald will remain as a secondary sponsor throughout the duration of the season joining, Gas Monkey Energy, Chevron Havoline, TechNet and Hot Wheels Car Care Products. More than just a logo on the car, Fitzgerald Glider Kits will be providing a unique, custom built Peterbilt 389 for Laughlin Motorsports 2018 season. “We are excited to say the least,” said Tom Fitzgerald Jr. “We plan to build a hauler combination that will be second to none in the NHRA paddocks, hands down.” Fitzgerald partnered with SignSmith in Crossville, TN and Black Beard Designs to completely overhaul the look of the race trailer creating an exciting and fresh look for Laughlin Motorsports. 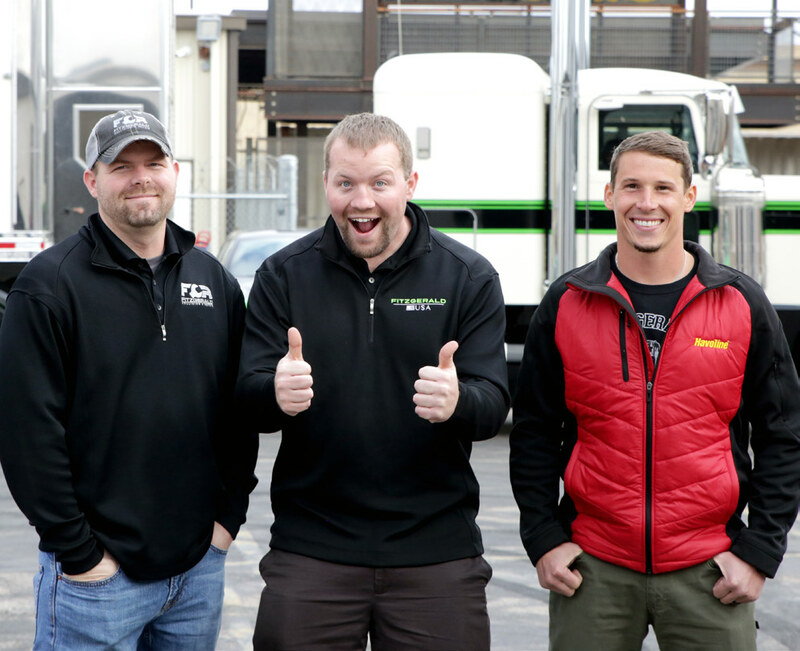 “We love racing and we love big trucks so when we were given the opportunity to build a totally custom race hauler we jumped on it immediately,” said Robert Fitzgerald. The custom Peterbilt 389 will sport the green, black and white color scheme which the team has become known for and under the hood will feature a Detroit 12.7-liter engine custom painted to complete this one-of-a-kind big rig. 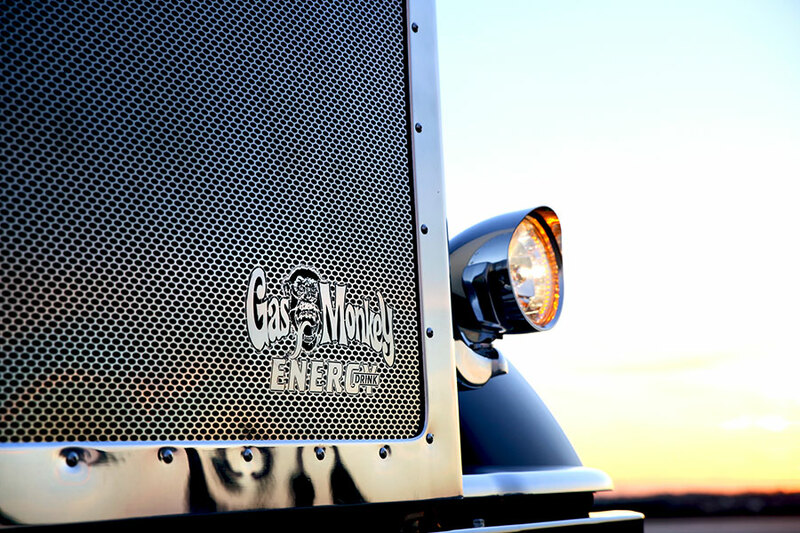 Keep an eye out as we plan to unveil this truck and trailer combo sometime around late-February. Fitzgerald Glider Kits is North America’s leading Glider Kit assembler. The company was founded in 1989, by Tommy Fitzgerald Sr. and his Brother, Ricky Fitzgerald. Today, the company is also co-owned with Tommy’s sons, Robert and Tommy Jr., along with longtime friend, Nick Bresaw. Fitzgerald Glider Kits specializes in installing pre-emission engines into new class 8 trucks to create a more fuel efficient rig that requires less maintenance and yields less downtime. Based in central Tennessee, Fitzgerald Glider Kits produces more than 4,000 trucks per year, and offers various models of the Peterbilt, Kenworth, Freightliner, and Western Star brands. The company supports the transportation industry in many different fascists by offering new trailer sales, truck parts, accessories as well as medium and heavy duty tow truck and wreckers. The Fitzgerald Family also owns and operates Fitzgerald Peterbilt, a successful chain of Peterbilt dealerships in Virginia and Alabama. You can learn more about Fitzgerald and all the company offers by visiting, www.FitzgeraldUSA.com. Fitzgerald Glider Kits is North America’s number one glider kit assembler. In 1989, the Fitzgerald family recognized a need in the transportation industry for a quality built Glider. With already over 10 years experience running a trucking company, they rolled their first glider kit out of their one bay garage. The goal was to build a truck that was easy to service, capable of getting better fuel mileage, and extremely reliable. Our dealerships are regarded as the premier dealership for truck service, parts, and sales. Fitzgerald Trailer Sales has the largest inventory around, keeping at least 100 trailers in stock at any given time. Fitzgerald Collision and Repair is the Nation's premier truck collision, service and repair shop. Fitzgerald has partnered with the most recognized towing and recovery brand Jerr-Dan. Fitzgerald Truck Parts provides the trucking industry with the Nation's top of the line brand. Located in a small town just inside the Kentucky state line is home of Fitzgerald Industries. At Fitzgerald Industries our team of experienced metal fabricators, welders, and painters work hard to build some of the best products hands down.